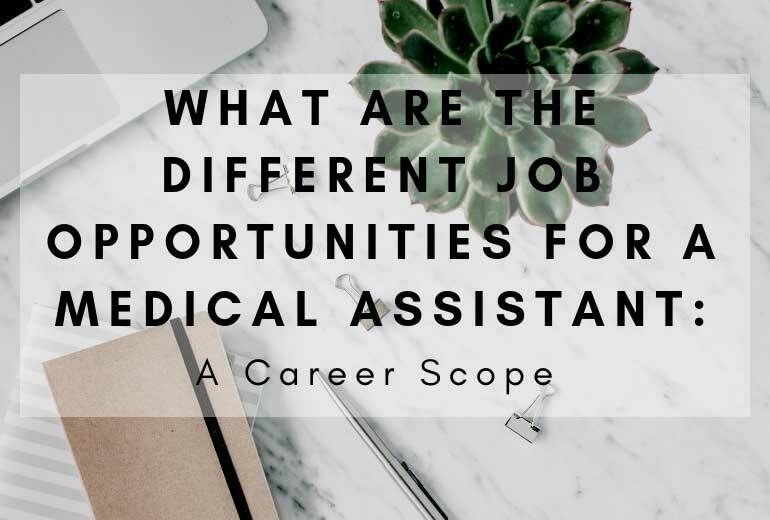 what Are The Different Job Opportunities for a Medical Assistant? What Jobs Can You Get With a Medical Assistant Certificate? The Medical Assistant field is one that can lead you to many career opportunities. As you delve deeper into the sphere of Medical Assistant knowledge, it is good to begin to plan a future for yourself. To do this, you must begin to match specific duties of Assistants with their coinciding departments. This can be hard, but with the proper training and research, you can figure out what opportunities are best for you. To figure out where you belong, you must first ask yourself about what specific opportunities you have and what type of departments you would like to work in. Firstly, there are various inpatient and ambulatory care settings that one can work in with their team. 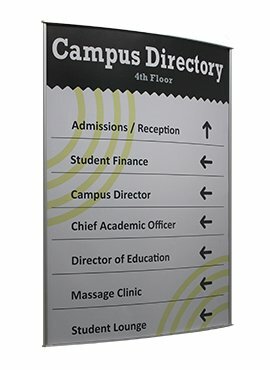 All these ambulatory care settings are unique in the sense that they cater to different patient needs, but the one thing they do have in common is that they all heal. Below is a list of a few of them. Clinics can vary for what they assist outpatients in from optical clinics, to chiropractic clinics, all the way to orthopedic clinics. The description of the job would include using clinical and administrative skills to help patients with their specific needs. Another facility you can work at is an urgent care facility. These are a bit like clinics, but they are solely reserved for immediate care that does not quite need hospitalization. Urgent cares are on a walk-in basis and are normally open later than doctors’ offices’ as to tend to the many who need urgent assistance after hours. A Physician’s Office is a bit similar to a clinic, the only difference is that it is home to one doctor while a clinic can have a specific focus or range of care and be a station for multiple physicians. A physician's office will have a space for Medical Assistants to use their clinical and administrative abilities in a private office. A rehab center is specific to providing care for any person recovering from some sort of illness or injury. Rehab centers are also known for being centers for people to overcome any sort of addiction. In these various inpatient and ambulatory care settings, one can tap into their full repertoire of Medical Assistant skills. There are various departments and specialties one can work in with little variance between care settings. Below are a few examples. This department involves working with patients, doctors, and insurance companies to process any type of insurance form or claims form. This also involves medical coding; specifically, DRG, ICD, CPT, and HCPC coding. This department revolves around enrolling patients into your facility. Usually located at the front desk, Medical Assistants will administer pre-admission interviews. This department will also allow you to schedule various appointments such as laboratory testing. Documenting insurance coverage will also be a necessary part of this department. This solely revolves around using the EKG Machines to perform studies on patients. This department solely revolves around drawing blood samples from patients. This department delves deeper into the realm of insurance coding in order to to assist with records. Administrative skills and general medical knowledge learned in your Medical Assistant training will be necessary. This department or specialty revolves around setting up surgical procedures for doctors such as placing trays and tools as well as sterilizing all of their components properly. This department heavily requires your clinical skills in order to assist the doctor with minor procedures and surgeries performed at various healthcare facilities. “Now that we know the different types of care settings and departments available within those facilities, we can now delve deeper into the job possibilities a fully trained Medical Assistant has. Below is a list of a few job titles a medical assistant can apply for provided by “Pearson’s Comprehensive Medical Assisting Administrative and Clinical Competencies Third Edition”. With additional education and credentials, you may even be able to obtain the following positions. 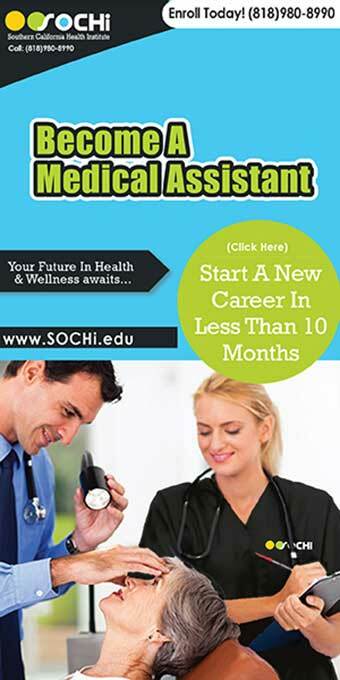 There are many various paths that can lead to your medical assistant profession. Each of these professions has a unique path to achieve that title. Many patients do not know the logistics of your title; therefore, many will not question your jurisdiction or duties. It is up to you to recognize what is allowed and what is off-limits for a Certified Medical Assistant.